Jeremy Hunt visits Worthing Hospital on Thursday 21 March, officially to open a new clinical unit. Given the Coalition government’s unremitting privatisation of NHS services, how long before one of his henchmen is back to close it? 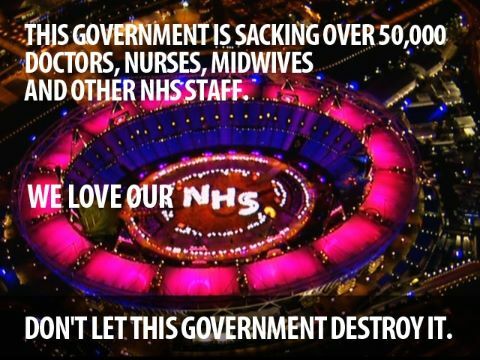 Members of Defend the NHS, Keep Our NHS Public, health trades unions, other campaigns and local NHS supporters will gather at 12 noon outside the main gates to Worthing Hospital, Lyndhurst Road, Worthing, West Sussex BN11 2DH. Come along to help us give the Health Secretary the welcome he deserves.